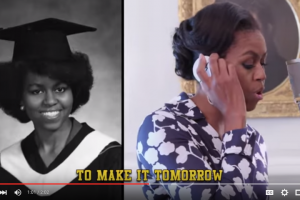 Career Day Resource Fair: Black Families! 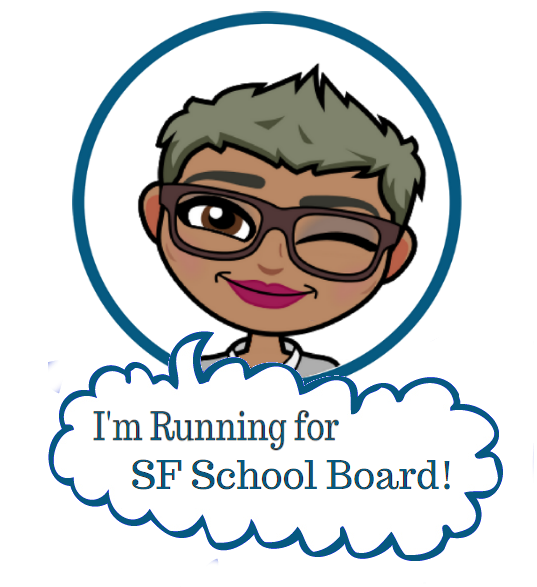 Come out to Mission HS on Saturday, September 19 @ 9am! 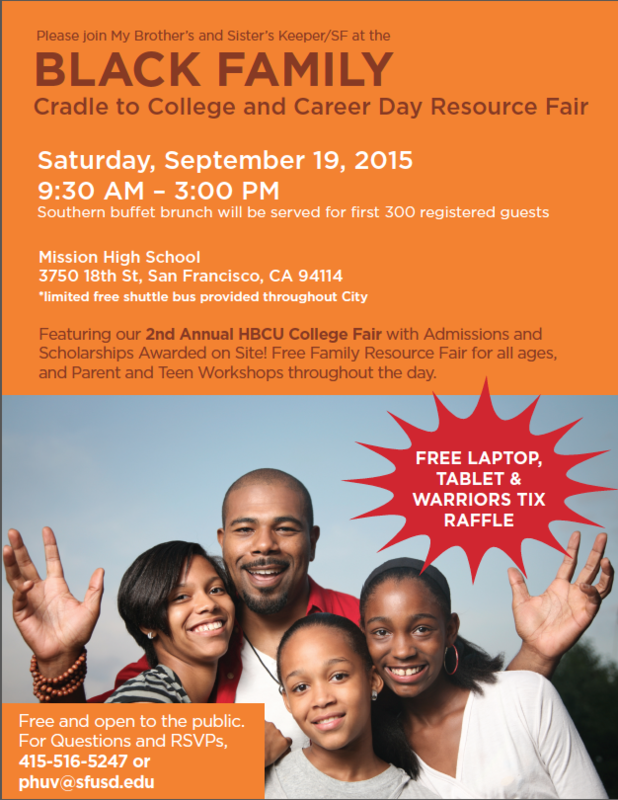 Join My Brother’s and Sister’s Keeper SF for SFUSD’s second annual Historically Black Colleges and Universities (HBCU) College Fair on Saturday, September 19th at 9:00am – 3:00pm with admissions and scholarships awarded on site, as well as a free family resource fair for all ages and parent and teen workshops throughout the day. We will be serving a southern buffet brunch for the first 300 registered guests, and there is limited free shuttle bus to Mission High School provided throughout the city. 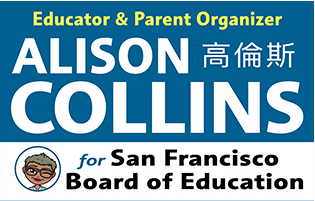 For questions and to RSVP, please call 415-516-5247 or email phuv@sfusd.edu. Please click on the picture (or link) below to download a flyer and share this with other families. I look forward to hopefully seeing you there! Come out to the Black Family College and Career Day Resource Fair!